[Image eligible] Our friends @TechWadi (FB/G+) and @GoogleforEntrepreneurs (FB/G+) are teaming up to connect Silicon Valley pioneers with rising entrepreneurs in the Middle East. The “TechWadi Roadshow” is a series of bootcamps across the region that will bring mentors, tech experts, and entrepreneurs to visit startup ecosystems across the Middle East. The “TechWadi Roadshow” will consist of four, two day ­long educational workshops led by TechWadi and powered by Google for Entrepreneurs that will bring experienced entrepreneurs and technology professionals to mentor local startups in Amman, Cairo, Beirut, andDubai. The mentors will include seasoned professionals from companies like Google, Yahoo, Facebook, as well as founders of various Silicon Valley startups. Marc Atiyeh invited you to join Paribus. Paribus is your personal price protection service. It automatically saves you money when prices drop. With Paribus, you'll have more money in your wallet, and more time to do the important stuff. Since 2009, there has been a three-fold increase in investments in MENA startups. Hear the latest from the region's leading VCs on the current investment landscape, sector trends, and economic outlook. 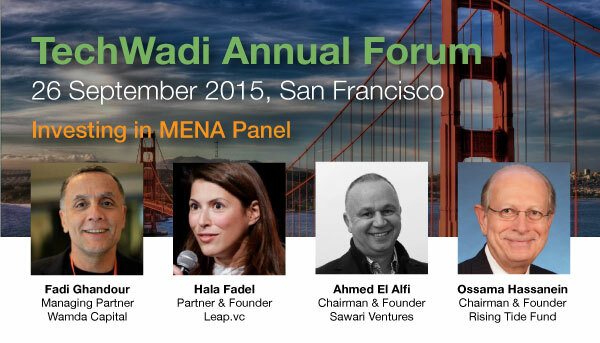 Moderated by: Dr Ossama Hassanein (Chairman, Rising Tide Fund & TechWadi Board of Directors). Join us on September 26th at Fort Mason in San Francisco for the TechWadi Annual Forum: an action-packed conference of keynote speakers, panels, and fireside chats with Silicon Valley leaders and community ecosystem tech stars. >> Get Your Tickets Now! I want to invite you and the LebNet community, to Start the first ever conference dedicated to living our passions. Summer has waned. The children are back in school. Some of you may be looking back at the vistas in your summer holiday photos and already plotting the next getaway. If so, there is one kind of app to take along on your next vacation, especially if you found on a summer trip that the viewfinder on your smartphone was not doing justice to the beach scene, country landscape or sweeping cityscape in front of you. Known as panorama apps, these programs help stitch together multiple or moving snapshots of a view to create a wide-angle image that will do a better job of conveying a sense of scale and place than a single photo. Using DMD Panorama is a fabulous way to learn about panoramic photo-taking because its interface makes the task simple. You simply tap the “capture” button, choose whether you want the app to auto-expose the image and whether the flash should be on, then hold the camera up to the scene. The phone snaps the first part of an image, then you turn it to one side to capture the next piece, and repeat. The app has a small logo on the screen that helps indicate when you have turned far enough for the next part. DMD then stitches the images together with some complicated math so that you almost cannot spot the seams in the final picture. The app also makes it easy to save a panorama to your phone or share directly to social media like Twitter. The resulting photos can be enormous — as much as 40 megapixels. If you don’t want your phone’s precious memory eaten up by such large images, the app offers free cloud-based storage, as well as a social sharing option. The app even has an option that turns panoramas into short videos that show the whole scene, perfect for sharing on Instagram. The app costs $2 on iOS and $5 on Android. To capture full high-definition images, it costs an extra $2. On Android, there is an app with many of the same features, called Panorama 360. It’s free, so it’s worth trying if you don’t like DMD. For a quirky alternative, check out PanoSelfie. This free panorama app uses the front-facing camera of an iPhone to take wide-angle panoramic selfies. This means you can appear in your own snapshot of some stunning scenery or take panoramic portraits of a group of people you are with. As with DMD, you hold the phone up and spin it from side to side, following onscreen prompts that remind you to move smoothly and tell you when you have rotated far enough. It helps that you can see yourself in the scene as the image builds up. The app’s algorithm does a good job of stitching the images together, and it does this without distorting faces too much. The interface is easy to use, letting you control basic image qualities like brightness, noise reduction and how wide an angle you shoot. PanoSelfie has drawbacks. It is iOS only and is ad-supported, so pop-up ads may suddenly appear. You can disable those by spending $1 in the app. Then there is my favorite: 360 Panorama by Occipital. Its interface guides you through making panoramas, and the app includes extras like cloud storage, social sharing and an in-app panorama viewer. It also has one big bonus: the ability to create spherical panoramas. This means you capture the entire scene around you — up and down, left and right — and you can view the results either as a long, strip-like photo or as a circular projection that is absolutely stunning. This app makes great images, but it may take some practice to perfect your skills. It costs $3 on iOS and for Q10 and Z10 BlackBerrys. Most panorama apps require you to stand still, spin accurately on the spot and try not to jiggle the phone. Things are simpler with an app like Circular Plus, which costs $2 on iOS. This app takes a single standard snapshot and distorts it into a circular, panoramic-like photo that looks like the output from 360 Panorama. This effect cheats a bit because you are not really snapping panoramic views, but it can be striking. Circular Plus has a clear and minimalist interface that lets you control many image parameters for perfect results, as well as lots of special effect filters. On Android, the $3 app Tiny Planet FX Pro is akin to Circular Plus and has a good interface. A $2 iOS app called Living Planet does the same thing. Though it has slightly fewer image-tweaking options, it can also turn videos into simulated spherical panoramas for eye-catching results. Have fun seeing the world in wide angle. VHS Camcorder is a $4 iOS app that does something counterintuitive: Instead of trying to achieve amazing image quality from your 21st-century smartphone, it deliberately degrades the quality of videos and adds artifacts. The results look eerily similar to videos shot on a 1990s-vintage camcorder. The app’s not perfect, but it could spice up your Instagram videos. English version of the Annahar article below. Op-ed published in Annahar Daily. As a Lebanese-American, born and raised in Tripoli Lebanon, a city once known as “The Fragrant” (Al-Fayhaa’) thanks to the fragrance of the blossom of its once thriving orange groves, I am deeply pained to read in daily international news reports about my country of origin being mired in garbage. I am a research scientist in the United States in the field known as "plasma physics.” Plasma, the fourth state of matter, after the solid, liquid and gas states, is a very hot, electrically-charged gas that is produced naturally by stars around the universe. It can be created artificially on Earth using electrical power. Most of my work deals with the use of plasma as propellant in electric rockets for propelling spacecraft in outer space. Lebanon’s exploratory tradition, dating back to the time of its seafaring Canaanites, has not yet encompassed the exploration of space, and its interest in plasma rockets may have to wait at least until its more daunting earthly problems are solved. But another branch of plasma technology stands to be of great value for a small country where real estate for landfills is scarce, and where tourism, which relies on a clean and unpolluted environment, is a critical part of the economy. Lebanon must take note of this new technology that is quietly revolutionizing the industry of waste disposal around the world: plasma gasification. The benefits of waste disposal by plasma gasification may sound too good to be true. But they are true. Disposing of waste more completely, cleanly and efficiently than any other existing waste disposal method, plasma gasification obliterates the need for landfills. When applied to organic waste it can also generate, as by-product, copious amounts of electrical power - so much, in fact, that only 5% of such generated power is needed to run the waste gasification plant, while millions of watts of unused power may be supplied (or sold) to the national power grid. Thus plasma gasification can contribute to the solution of two crippling problems that have plagued modern Lebanon: pollution from waste disposal, and a dearth of electrical power. Plasma gasification plants, each processing between 5 and 150 metric tons of waste per day, have recently been built and are successfully operating in Taiwan, Japan, Canada, UK, India, China and the United States. In fact, my own university in Princeton, New Jersey, has recently purchased a plasma gasification plant, which is being constructed on campus to deal with the university's own waste in an environmentally responsible way. Plasma gasification can be explained as the processing of organic and inorganic waste through a reactor where a powerful plasma torch (an electric device that ionizes and heats an inert gas, such as argon) raises the temperature of the waste to many thousands of degrees, nearing the temperature of the sun's surface (chromosphere). This heat completely gasifies the waste and breaks it down to its elemental constituents. Even hazardous waste can be processed cleanly and safely in this manner. The process (technically called pyrolysis) does not rely on combustion and therefore does not produce tar, char, ash, furans, dioxins, sulfur dioxide or residual carbon, and has low carbon dioxide emissions, thus meeting the most stringent emission regulations. When the waste is inorganic (including electronic equipment and appliances) the outflows from the reactor are stable metals that can be refined and sold, and clean hard slag that can be used as construction material. With organic waste there is a tremendous additional benefit as plasma pyrolysis produces “syngas”, an energy-rich mixture of carbon monoxide and hydrogen. Syngas, which has about half the energy density of natural gas, can then be combusted in turbines to produce enough electric power to run not only the plant itself but also to power a whole city with electricity. You may ask why such a revolutionary technology has not received the wide public attention it deserves. The answer is threefold: 1) its relative novelty, 2) the initial cost of the facilities and infrastructure it requires, and 3) the active resistance of the traditional waste disposal industry lobby in some countries, which has obfuscated the superiority of rival technologies, especially in the United States, where plasma gasification has yet to penetrate the public sector. The fact that a private university in New Jersey has opted to have a working plasma gasification plant on its campus (not for research, but for actual waste disposal) demonstrates that the technology is mature enough, worth the initial investment, and is the best choice when lobbies and politics are kept at bay. I do not wish to imply that plasma gasification could instantly solve the current garbage crisis in Lebanon. But it is a promising option that should be seriously considered and evaluated now for near-future use. No technology, even one as compelling as plasma gasification, can solve a crisis that is deeply conditioned by greed, corruption and sectarian politics, or absolve citizens and politicians from dealing with these fundamental problems. I have left Lebanon in my mid-teens and know too little of its complicated politics to allow myself an opinion on such topics. But as a scientist, I can vouch that a judicious implementation of plasma gasification technology has every potential of making landfills in Lebanon a thing of the past. If my native city of Tripoli is now too poor in fragrant orange blossoms to reclaim its old title, may Lebanon become rich in environmentally conscious youth, educated and scientifically minded technocrats, and visionary statesmen who could make their home “Lubnan Al-Fawwah”. Edgar Choueiri is a professor of applied physics and astronautical engineering at Princeton University, where he is also Director of the university’s Engineering Physics Program. He served (2008-2013) as the founding president of the Lebanese Academy of Sciences, a not-for-profit organization comprised of leading Lebanese, European and American scientists, and dedicated to offering independent and free advice to Lebanon on scientific matters. According to Qnovo, the latest round of funding is designed with a view to incorporate their adaptive charging technology into 2016 smartphones from launch. Not to mention, Qnovo also state their collaboration with Intel, will see the technology expanding into other new areas such as wearable devices. According to Qnovo CEO, Nadim Maluf, “Consumers will see in 2016 new smartphones with Qnovo’s technology. With Intel’s backing, we are primed to extend our compelling battery improvements beyond smartphones into notebooks and wearables.” While speaking on the collaboration with Qnovo, Vice President of Intel’s New Devices Group, Steve Holmes, “Qnovo has developed technology to make today’s batteries perform better. We look forward to improving the experience of our shared customers.” As such, 2016 looks set to be an interesting year for mobile device manufacturers and consumers alike and in the field of battery solutions in general. Google announced earlier in the week that they were creating a new company,Alphabet, to house a collection of companies, including Google. What is a Googlette? It's a new business inside of Google that is just getting started -- the start-up within the start-up. We're looking for an experienced, entrepreneurial manager capable of offering direction to a team of PMs working on a wide array of Googlettes. You will define Google's innovation engine and grow the leaders of our next generation of businesses. Instead of generating ideas and people for internal use, what if they're incubating start-ups to spin off into companies of their own? Fast forward five years and instead of being a big huge company, Google is a big huge company at the center of a network of 10-20 large to medium-sized companies with similar goals, values, and business practices. Most of these spin-offs would be engaged in businesses similar (and probably complementary) to each other and the Google Mother Ship, some of them maybe even directly competing with each other. Lebanon has been recently called the "Silicon Valley of the Middle East" by the CNN and the "Middle East's Tech Hub" by Tech Crunch; and this comes as no surprise as the ICT sector in Lebanon is one of the most promising sectors in the region, with a highly skilled and competitive labor force and a stellar educational system coupled with an improving infrastructure and a supportive ecosystem. At IDAL, we are entrusted, as per Investment Law No.360, to identify investment opportunities in sectors with the propensity and potential to grow. Given the importance of the ICT sector to the economy and given its potential, a detailed analysis was conducted to assess the competitive advantages of the sub-sectors which Lebanon could have a higher potential to thrive in. 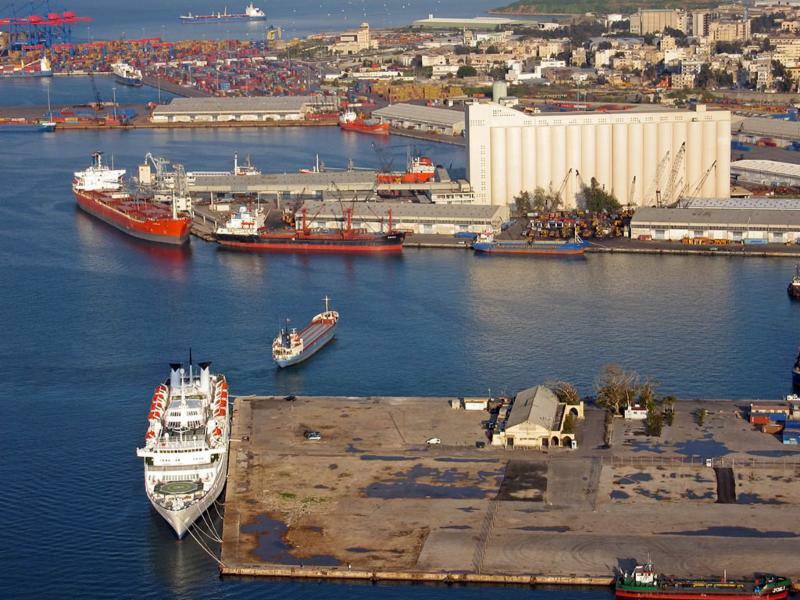 On the export promotion front, IDAL is working hard in collaboration with the Ministry of Agriculture and syndicates to increase access to markets through Maritime transportation of Lebanese products. The Lebanese Information Technology sector1 is a fast growing sector with an estimated market size of USD 381 million in 2014 and projected to reach USD 530 million by 2017. The market has been growing at a compounded annual growth rate (CAGR) of 7.9% over the period 2009 - 2014 and is expected to grow at a CAGR of 7.24% from 2015 to 2018. In 2013, The ICT sector contributed to 3% of Lebanon's GDP and its impact on GDP, whether direct or indirect, is forecasted to be greater than USD 6 Billion by 2017 . Lebanon possesses a number of competitive advantages that can make it one of the most promising ICT sectors in the region, including a strong human capital base, a competitive labor force, access to growing regional markets, an enabling infrastructure, and a supportive ecosystem. Indeed, Lebanon is emerging as a leading exporter of software products and services in the region. Exports of ICT related activities account for around 56.8% of total service exports; the highest share among regional countries. More than 60% of firms engaged in ICT activities are export oriented, with the Gulf region as the primary export destination for Lebanese products. 1 According to Business Monitor International (BMI), the IT sector includes: software development, hardware & IT services. The statistics and analysis presented above are generated from a database of IT companies compiled by IDAL from various sources including: Lebanon's Chambers of Commerce, Association of the Lebanese Software Industrialists (ALSI), Professional Computer Association (PCA), Berytech, ZAWYA and other online databases. The database includes the information of 205 companies engaged in software, web and mobile app development. This is a preliminary analysis used only to assess general market trends. The companies' database is not exhaustive and the numbers generated are estimates but provide a good overview of the sector size and potential. As part of its mandate to help Lebanese ICT companies expand, IDAL was contacted by the investment promotion agency Invest in Lyon to encourage Lebanese startups to take part in a new accelerator program called the Big Booster, along with the city of Boston-Massachusetts. The only project of its kind in Europe, the Big Booster, in connection with MassChallenge, is an international non-profit acceleration program designed to help bolster and provide ongoing support to early-stage startups with innovative or breakthrough technology. The Big Booster is a competition proposed to startups from Europe, the Middle east and Africa in the sciences, innovative tech and sustainable development. It is an intensive 10-month program that starts with a Boot Camp in Lyon for the 100 selected startups, followed by a Boot Camp in Boston for the 20 best ones. Online applications will start on July 1st and close on September 15th, 2015. In October, the top 100 selected startups will be announced and will participate in the Lyon Boot Camp, which will take place from October 27-29, 2015. The top 20 startup will participate in a second Boot Camp in Boston in February 2016. IMPORTANT: Mention IDAL in the "Referred by" section so that we can ensure a follow up of your application. Consumer Internet: more specifically in Web and Mobile Portals, Content Websites and Applications, News, Internet Publishing, Social Networks and Applications, and Search. There is an especially high demand for Arabic content creation along those key markets. Gaming: There are increased opportunities for gaming on tables and smartphones with more than 80% of the 1.2 billion gamers worldwide playing on tablets and smartphones. Value-Added Services (VAS): The increase in the number of mobile users and sale of smart devices, have created opportunities for VAS. Lebanon will have one of the highest growth rates of VAS revenues in the MENA region, which is expected to more than double by 2018. E-Government: With the implementation of the e-Government initiative, dawlati, Mobile devices will increasingly be used as key facilitator for online interactions. Jihad Kawas, Lebanon's youngest CEO managed to become one of the 20 selected from a pool of 2,800 applicants from around the world to become Thiel Fellows, winning a $100,000 cash prize for his startup "Saily". Ziad Sankari, founder of startup CardioDiagnostics, met President Obama and was selected to be a guest speaker at the White House as a representative of innovative solutions to some of the world's toughest challenges. The cabinet has approved the mechanism to support agricultural and industrial exports through maritime transportation. Preceding this decision was a series of meetings between Chairman Nabil Itani and the Minister of Agriculture, the Association of Lebanese Industrialists, the association of vegetables and fruits exporters, and auditors. The main objective of the mechanism is to ensure that Lebanese produces continue to access traditional markets, especially to Jordan and the Gulf states. 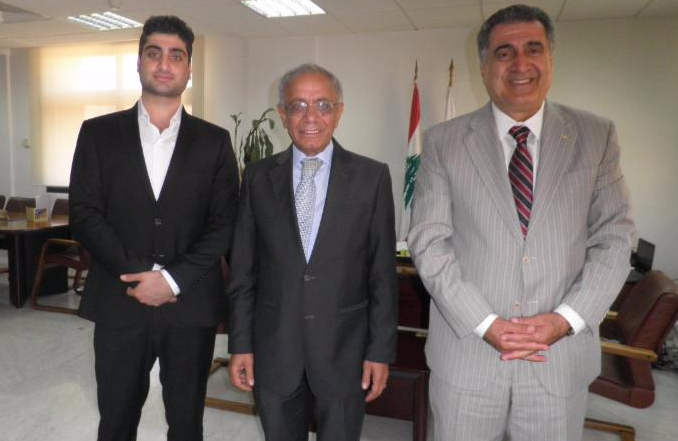 The mechanism is important in ensuring that the standard that the Lebanese products has in those markets is maintained by safeguarding the credibility of Lebanese producers and manufacturers to their trading partners in these market as well as to maintain the supply and demand balance within the Lebanese market itself. More information on this subject will be covered in next month's issue. 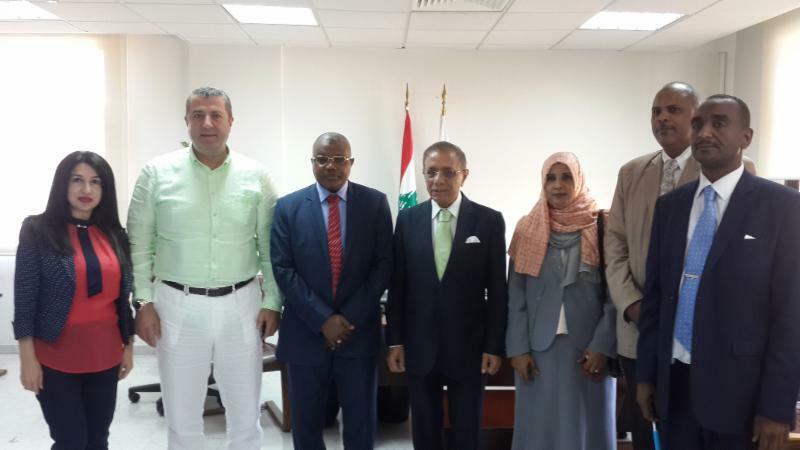 Chairman of IDAL, Mr.Nabil Itani and board member Mourched El Hajj Chahine have met with a delegation from Sudan headed by the Ambassador Hag Magid Mohammad Al Suwar, Secretary General of the Secretariat of Sudanese Working Abroad. The aim of the meeting was to exchange know-how on diaspora engagement and the programs in place to attract investments.